This article contributes to the debate about how regulatory science for agricultural technologies can be ‘opened up’ for a more diverse set of concerns and knowledges. The article focuses on the regulation of ‘socio-economic considerations’ for genetically modified organisms. While numerous countries have declared their intent to include these considerations in biotechnology decision-making, it is currently unclear both what counts as a socio-economic consideration and how such considerations should be assessed. This article provides greater clarity about how socio-economic considerations can be included in regulations by drawing upon the experience of two countries whose efforts in this field are particularly advanced: Kenya and South Africa. Based on extensive fieldwork, this article identifies the contours of an emerging regulatory regime by presenting two practice-based models for including socio-economic considerations in biotechnology decision-making. Whereas Kenya has taken a bottom-up process prior to assessing the first technologies and strongly emphasises scientific expertise, South Africa has instead established regulatory standards in an ad hoc fashion on a case-to-case basis, with a less prominent role for scientific evidence. The discussion of the distinct characteristics and tensions of both models provides insight into two potential pathways for including socio-economic considerations in the regulation of agricultural technologies. One of the recurring criticisms of regulatory science is that it functions to erroneously ‘close down’ the appraisal of food and agricultural technologies (Stirling 2008). The starting point for these critiques is the recognition that discussions about new food and agricultural technologies are “not just about the pros and cons of a particular set of technologies, but about politics and values and the future of agrarian society” (Scoones 2008). From this perspective, regulatory science has been criticized for predominantly framing issues in terms of risk to human health and the environment. While these issues are certainly important, the predominant focus on risks to human health and the environment has been criticized for narrowing down the scope of societal appraisal, and for relegating issues of risk to the realm of specialists, thereby excluding other types of knowledge and expertise from the decision-making process (Levidow and Carr 1997; Chataway and Tait 1993; Wynne 2001, 2005; Jasanoff 2005). The issue is ‘scientized’, as one commentator described it (Kinchy 2010). This article takes forward these criticisms and investigates attempts to expand regulatory science and include different types of concerns and knowledges. In particular, I focus on the regulation of ‘socio-economic considerations’ (SECs) for genetically modified organisms. The concept ‘socio-economic considerations’ emerged in biotechnology regulation in the context of the Cartagena Protocol on Biodiversity (CPB), an international agreement that, amongst others, regulates the cross-border movement of genetically modified organisms (GMOs). Article 26 of the protocol provided countries the option to include “socio-economic considerations arising from the impact of living modified organisms” (Secretariat of the Convention on Biological Diversity 2000, p. 19). The ethical, social, and economic consequences of genetically modified organisms has been subject to intense societal controversy over the last decades, and Article 26 for the first time provides countries with the possibility to take into account these widely perceived societal concerns into their regulations. Numerous countries have meanwhile declared their intent to include these considerations in biotechnology decision-making for regulating both the import and domestic development of genetically modified organisms, including Argentina, China, Mexico, the Philippines, the Netherlands, Norway, Kenya, and South Africa (Falck-Zepeda et al. 2013). In practice, however, it is far from clear what it means to include SECs in decision-making. For example there are vast differences in the definition of socio-economic considerations. While narrow interpretations limit the definition of SECs to economic effects on farmers relative to existing crops, wider definitions include anything from impacts on gender, income, indigenous communities, and even cultural and religious concerns. Furthermore, traditionally the regulation of GMOs has heavily focused on sanitary and phytosanitary measures and the possibility to include SECs in decision-making—rather than leaving these to the market—is a rather new development. As a consequence, not only is there considerable lack of clarity as to what counts as a valid socio-economic consideration, also, as RAEIN-Africa (2012, p. 1) notes, “whilst methodology for environmental and health risk assessment is well-developed the same cannot be said for SEIA [socio-economic impact assessment].” Hence it remains unclear what impacts should be considered under Article 26, how such impacts should be assessed, and how decisions should eventually be reached. Actors across the board have cited this lack of clarity a cause of concern, amongst others because of fears that SECs will only act “as justifications for the imposition of trade barriers” (Kerr et al. 2014) and because the ensuing regulatory uncertainty may deter investments in potentially beneficial technologies. This article aims to provide greater clarity about how SECs can be regulated based on ethnographic observations in two countries whose efforts in this field are particularly advanced: Kenya and South Africa. In both countries, there are significant societal controversies around GMOs, often revolving around socio-economic impacts of the technology, thus sparking the need for including these considerations in decision-making processes. The prominence of African countries in this endeavour fits within a larger trend in that was already visible during the negotiations for the Cartagena Protocol, when most developed countries argued that SECs should not be included because they could better be left to market conditions and hence were “of little relevance” to the Cartagena Protocol (Secretariat of the CBD 2003, p. 79), while African countries on the other hand presented the most comprehensive submission of socio-economic factors. Although several developed nations have meanwhile taken pro-active attempts to include SECs (for instance see COGEM (2009) for the Netherlands and Binimelis and Myhr (2016) for Norway), it is hence not surprising that Kenya and South Africa, frontrunners in African biotechnology, have been particularly advanced in shaping regulatory practices for SECs. By providing a detailed account the work done under Article 26 of the Cartagena protocol at the national level, this article identifies the contours of an emerging regulatory regime. Based on extensive fieldwork in Kenya and South Africa, I will identify two practice-based models for including socio-economic considerations in biotechnology decision-making. Kenya and South Africa have taken different approaches to settle what SECs should (and should not) be taken into account, how these considerations should be assessed, and how decisions are eventually reached. These experiences are set to become even more important as a new wave of technological developments in the field of genetic editing will raise new questions about the ethical, societal, and economic consequences of biotechnology. These two models, along with a critical discussion of their benefits and drawbacks, can provide guidance to other countries by highlighting different strategies for dealing with the practical difficulties of including SECs into biotechnology decision-making. “may take into account, consistent with their international obligations, socio-economic considerations arising from the impact of living modified organisms on the conservation and sustainable use of biological diversity, especially with regard to the value of biological diversity to indigenous and local communities” (Secretariat of the CBD 2000, p. 19). Although the Cartagena Protocol focused on the transboundary movement of GMOs, discussions and regulations of SECs soon transcended this focus. As we will see later, also in Kenya and South Africa the regulation of SECs is not limited to transboundary movements. Nevertheless, it was the adoption of the Cartagena Protocol that spurred debate about the definitions and scope of SECs—i.e. about what counts as a valid SECs. In the most narrow int erpretation, SECs only apply to the impact genetically modified organisms on the value of biological diversity to indigenous and local communities, as is described in Article 26 (Jaffe 2005). In its broadest interpretation, a wide variety of concerns can be shared under the heading of SECs. RAEIN-Africa (2012), COGEM (2009), Ludlow et al. (2014) and Fransen et al. (2005) for instance mention economic impacts such as the costs of inputs and labour, the impact on employment, food supply, and on recreation; social impacts such as freedom of consumer choice, equity issues along the lines of gender and age, and religious beliefs; and cultural impacts such as traditional seed exchange systems, cultural uses of biodiversity, and cropping practices associated with indigenous knowledge systems. All these considerations seem to share, is that their object of regulation is not risks to human health and the environment. Questions have furthermore been raised about how SECs should be assessed and how decisions should eventually be reached. Various scholars and organizations have for example discussed the benefits and drawbacks for ex ante or ex post assessments (Falck-Zepeda 2009) and the importance of carefully manage the expectations arising from regulatory frameworks (COGEM 2014). Also different methodologies have been proposed for performing these assessments, ranging from economics-oriented methods like cost–benefit analysis (Hall and Moran 2003), social-economic impact analysis (Stabinsky 2000), and effectiveness tests (Chaturvedi et al. 2012), to broader frameworks that include different types of public participation (Fransen et al. 2005), scenario planning methodologies (AHTEG-SEC 2014), and problem formulation tools (Tepfer et al. 2013). There has hence been quite some work that enables countries to shape their regulations for SECs. There have been a few attempts to sketch the broad outlines of existing regulatory schemes that include SECs (COP-MOP 2008; Falck-Zepeda 2009; Falck-Zepeda and Zambrano 2011; Binimelis and Myhr 2016), including for example Argentina, where the assessment of SECs is limited to impacts on trade, which are assessed using principles from cost–benefit analysis. And the regulation of SECs has also repeatedly received a prominent place on the agenda of the Conference of Parties serving as the meeting of the Parties to the Protocol (COP-MOP), the European Committee, and the Food and Agriculture Organization, amongst others. However, despite these efforts, and despite the fact that numerous countries have pledged to include SECs in their decision-making processes, these attempts are hampered because as of yet “there is little experience in dealing with these issues in actual decision-making processes” (Fransen et al. 2005, p. 7). Even in a country like Norway, which is often referred to as having a progressive system for including SECs, thus far did not experience cases where SECs played a decisive role in decision-making (Rosendal and Myhr 2009). Despite these efforts, overall little consensus has emerged over the definition and scope of SECs, the way SECs should be assessed, and the distribution of roles between different stakeholders in the decision-making process. In the absence of consensus over what counts as valid socio-economic considerations and how to assess them, countries are caught in between seemingly mutually exclusive desires. On the one hand, these countries wish to broaden the scope of valid regulatory concerns to include issues beyond risks to human health and the environment. Doing so, on the other hand, risks ruling out potentially beneficial technologies since SECs “may constitute an unworkable hurdle if the assessment procedure is not clearly defined up front” (Falck-Zepeda 2009). 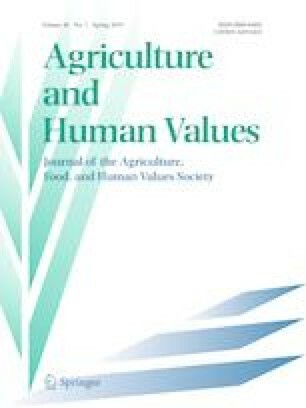 Failing to define what SECs are taken into considerations and how these can best be assessed could bar potentially beneficial technologies to enter countries and could hamper technological progress as it dis-incentivizes researchers to put time and effort in developing new agricultural biotechnologies that may later be rejected. This article suggests one way to overcome this conundrum is to take a practice-based approach to regulation that draws on literature from the sociology of science and technology. This will be set out in the next section. The practice-based approach taken in this article can best be explained by contrasting it to what will be called a ‘traditional’ approach to regulation. In this traditional approach, a strong distinction is made between the ‘science-based’ regulation of health and environmental risks and the supposedly ‘non-scientific’ nature of regulations based on other concerns, like socio-economic considerations. The scientific basis of regulations of health and environmental risks is for instance articulated in the WTO agreement on the application of Sanitary and Phytosanitary Measures (SPS), which specifies that trade-curtailing measures may only be taken if “based on scientific principles” and “sufficient scientific evidence” (WTO 1995). From this perspective, including SECs in decision-making potentially opens the floodgates to various ‘non-scientific justifications’ that hamper trade. This view is founded upon the assumption that the objective or subjective nature of regulatory practices are somehow inherent to the regulated concern. In this reading the very nature of SECs makes it impossible for them to be regulated in an objective and predictable manner because they amount to mere opinions, values, and political interests that cannot be dealt with through science. This article builds upon several authors who have earlier rejected this seemingly clear distinction. Kleinman and Kinchy (2007) for instance point out that this distinction itself rests upon views about the conditions under which circumvention of the market is deemed legitimate that are themselves informed by neoliberal ideology. The attempt to entrench this ideologically informed distinction by characterizing the regulation of risks as scientific and delegating all other forms of regulation as unscientific is a form of scientism that cannot be reasonably be defended (Kinchy et al. 2008). This article instead adopts a practice-based approach to regulation. This perspective helps to show that differences in objectivity or subjectivity (and predictability or unpredictability) of different objects of regulation are the outcome of particular practices through which actors either manage or fail to agree on what constitutes valid conditions for market intervention. Agreement over what counts as a risks and how to measure that risk is not a given that is implicated in the nature of the object of regulation: it instead comes into view as a consensus that has slowly evolved over course of the last centuries (Luhmann 1993; Boholm 2015), reflecting both the value that is attributed to human health and the environment, the objects that are considered to pose a risk to those values, and the particular types of knowledge that are considered credible (e.g. Porter 1996; Jasanoff 2005). This perspective furthermore draws attention to all the practices involved in producing the knowledge about the object of regulation that enables objective forms of decision-making (de Vries et al. 2011; Boholm 2015; Beumer 2017). For instance, in the case of risks to human health and the environment thousands of people work to isolate relevant properties, administer those in a particular dosage, carefully selected animal models, whose exposure to the risk object is in turn measured after a particular period, using carefully calibrated machines, operated by staff with the right educational background, who look for damage done by the risk object in predetermined organs in the animal models. Socio-economic considerations, in contrast, present regulators with a largely new concern for which it has not yet been crystallized what work is required to take them into account in decision-making. From this perspective, the difference between objective/science-based/predictable regulation of risks and subjective/politics-based/unpredictable regulation of SECs comes into view as the difference between a practice that is well-established and a practice that is only emerging. Although there is certainly no guarantee that the regulation of SECs will travel the same path as SPS, the practice-based perspective helps to highlight that in theory, SECs too can evolve over time from subjective to objective and from unpredictable to predictable. There are no inherent properties to SECs as an object of regulation that prevent a potential consensus to emerge over what counts as a valid SEC and how this can best be measured (Table 1). This has consequences for the purpose of identifying the contours of a new regulatory regime. If the establishment of what counts as a valid SECs and what counts as valid evidence is the outcome of hard work, then the contours of the new regulatory regime can best be identified by observing the practices through which actors attempt to define and measure SECs. The question hence is what evolving practices can be observed through which SECs as an object of regulation are made sufficiently objective and predictable? This article takes an ethnographic approach, which is particularly suited to investigate emerging practices that have not yet been fully formalized. I mainly rely upon two types of sources to identify relevant regulatory practices: semi-structured qualitative interviews and written documents. I spent a total of 3 weeks in Kenya in March 2016 and 3 weeks in South Africa in April 2016 to conduct semi-structured qualitative interviews with a total of 39 people. This included interviews with government officials from different regulatory agencies and ministries, actors directly involved in drafting the regulations, as well as scientists and companies filing applications, peer reviewers, and local and international non-governmental organizations. The interviews were conducted in the home institute of the interviewee (in and around Nairobi and Eldoret in Kenya, in and around Pretoria, Onderstepoort, Midrand, Johannesburg, Cape Town, Somerset West and Stellenbosch in South Africa) and they were fully transcribed. The semi-structured nature of the interviews allowed for comparisons between interviewees and countries while their open-ended nature was essential in capturing regulatory practices that are not formalized in written documents and allowed the analyst to go further into detail when merited. Interviews focused on actors that were closely involved in the regulation of SECs so as to gain a detailed understanding of the process through which particular considerations were included or excluded from the regulatory process and how decisions were taken to measure and assess these considerations in particular ways. These interviews were supplemented with several other interviews with key actors who have been active in discussions about biotechnology regulation but who were less closely involved in the regulation of SECs. This helped to gain an alternative perspective on the events described by those closely involved in the regulatory process. Interviewees were first identified through a preliminary document analysis and internet search and thereafter also by asking interviewees once in Kenya and South Africa to suggest names of other relevant actors. The documents were gathered through an elaborate internet search for which both academic and non-academic search engines were used (including EBSCOHOST, Google Scholar, and Google). Additional documents were gathered during field work, amongst others by asking interviewees if they could identify further relevant documents. Both documents were gathered that play a role in the regulatory process itself (such as laws, regulations, or guidelines) and documents that comment upon the process (such as academic studies, newspaper articles, or organizational websites). Together the interviews and documents provide a good base for triangulating findings and tracing the emergence of a regulatory regime for SECs. It was found that the regulation of SECs in Kenya was established largely separate from concrete applications whereas in South Africa the regulatory practices only emerged in the process of assessing concrete applications. The empirical sections mirror these differences and hence are structured rather differently. Researchers in Kenya have been working on genetic modification since at least the early 1990s and the government has taken several steps to promote and regulate the technology since. In 1991, the National Advisory Committee on Biotechnology Advances and their Applications (NACBAA) was established to identify research priorities and 1 year later the Kenyan Agricultural Research Institute (KARI) formulated the first biosafety guidelines (Wafula 1995). More recently the government approved a National Biotechnology Development Policy in 2006, outlining how Kenya could move ahead with biotechnology, and in 2009 the Biosafety Act was approved by the Kenyan president. These events have been accompanied by significant resistance, culminating in the 2012 imposition of a moratorium on the import of GMOs. The 2009 Biosafety Act established the structures through which SECs were first explicitly addressed. The Act foresaw the establishment of a new competent authority that was charged with the responsibility to implement the Act. This institute was called the National Biosafety Authority (NBA) and was placed under the Ministry of Science and Technology. The decision-making power is situated with the board of the biosafety authority, which by law consists of the chairperson and chief executive officer, along with scientists, interest groups, and representatives of various ministries and government agencies. The Act set forth different requirements for the contained use, environmental release, import, export, transit, and placing on the market of genetically modified organisms. SECs were solely included in the approval for the environmental release of genetically modified organisms. The Act notes that in reaching its decision, the Authority “shall take into account … socio-economic considerations arising from the impact of the genetically modified organism on the environment” (Government of Kenya 2011). As one civil servant highlighted, whereas the Cartagena protocol stated that parties may consider socio-economic factors, “when you look at our biosafety law, it says it is a mandatory thing” (interview 31 March 2016a). The newly established National Biosafety Authority was charged with the responsibility to shape the regulation of SECs. SECs were eventually included in the application procedure for environmental release in three distinct moments: first, through information provided by the applicant, which is reviewed by socio-economic experts; second, through public comments that are invited after every application; and third, in the final decision taken by the board of the biosafety authority about the environmental release. These three moments will now be discussed in greater detail. In order to decide whether or not a genetically modified crop will be approved for environmental release, the National Biosafety Authority requires applicants to provide information about the crop. Applicants therefore have to fill in a form consisting of a long list of detailed questions. The application process thereby “passes the ball to those who have developed the product” (interview 18 March 2016). SECs are not included in the form itself but applicants are obliged to provide information on socio-economic impacts in an annex (interview 31 March 2016a). The Biosafety Act itself does not specify what SECs should be taken into consideration. As one industry actor told me, the passage about SECs in the Biosafety Act “is just a general statement that is put there but digging deeper into guidelines and everything else, there’s no other place you’ll find when looking into socioeconomic considerations” (interview 31 March 2016b). Different actors perceived this as problematic. For applicants this meant that there was little clarity as to whether or not the Act’s requirements had been met. And regulators did not trust that applicants would provide sufficient and credible information in the absence of more specific criteria for providing information on SECs. As one former board member of the NBA mentioned: “they will give you biased information. An applicant will never tell you that our product is going to affect the choice of varieties from farmers, or that it’s going to take away from a variety which has medicinal value” (interview 17 March 2016a). The biosafety authority therefore set out to create a standard operating procedure (SOP) for SECs. This document, in the words of one NBA employee, was supposed to provide “a guideline on what issues as NBA we want applicants to report, [and on what issues we want] the experts that we send the applications to for review to look for” (interview 31 March 2016a). Initially the NBA board considered drafting the guidelines themselves, ensuring that the SECs considered “should not be varying from one applicant to another” (interview 17 March 2016a). As an example, a former board member pointed to the highland area of Kitale, where the bulk of maize in the country comes from, and suggested that “you can say for Kitale … we want that area to be free of any issues from GM” (interview 17 March 2016a). Instead the NBA opted for a more participative approach to develop the standard operating procedure by organizing a workshop that was meant to solicit views from various stakeholders about what SECs had to be included and how they should be assessed. The workshop was facilitated by a well-known international expert on SECs and was attended by about 25 different stakeholders, from scientists to consumer organizations, and from industry to environmental NGOs (interview 18 March 2016). Both participants and the organizers of the workshop mentioned that the participants failed to reach consensus about how to regulate SECs. This was hardly surprising considering the antagonistic biotechnology debate in Kenya. Even the format of the workshop was subject to contestation. Actors from civil society organizations for instance noted that the international expert facilitating the workshop “is known to be a pro-GM person, … and that in itself tells me NBA is not interested in being impartial (interview 17 March 2016b). In his introductory presentation the expert furthermore put a strong emphasis on economic issues, in particular on “comparing the economic benefit of growing Bt maize vis-à-vis growing normal hybrid maize” (interview 17 March 2016b), thereby foreclosing discussions on non-economic issues “like indigenous varieties, co-existence, … and the impact on non-target organism like butterflies and bees” (interview 17 March 2016b). Yet, despite the fact that “it was a wide group of people with various opinions” (interview 18 March 2016), as one biotechnology proponent tactfully noted, different participants that were interviewed noted that they were nevertheless able to openly put forward what SECs they thought should be included in the decision-making process (NBA 2013). Eventually “it was up to the NBA to decide what to take and what not to take” (interview 18 March 2016). Issues that were occasionally mentioned in literature on SECs but that were not brought up during the stakeholder workshop, like the impact on local seed systems or indigenous knowledge, were not included. Facing the lack of consensus amongst workshop participants, the biosafety authority simply included all SECs that were raised during the stakeholder workshop. The scope of the standard operating procedure was subsequently very broad, ranging from issues concerning equal access of men and women to farmers income, and from enhanced nutritional composition (see Table 2). Will there be increase in yield/ha? Will there be surplus for individuals/country? Will the technology be continuous? Will technology complement other income sources? Will farmers make more money using GM technology compared to status quo? Will cost–benefit analysis be beneficial to farmers? Are seeds and other farm inputs affordable to ordinary farmers? Does the technology reduce cost of production? Are there economies of scale? How to ensure genetic integrity on organic and conventional food? How to deal with litigation? How approval of GM technology will impact on exports and other trade factors? Will Kenyan products access EU market? Are we going to be competitive? How will the technology affect our branding? Will it affect surpluses too? Any tangible benefits to consumer? - Reduced commodity prices, enhanced nutritional composition? Is the society healthier? Is there good labelling practices? Can consumers easily access conventional or organic products? What happens if adverse effects are detected later when the product is in the market and people have consumed the GMO? Will farmers be trained and follow laid down GAPs? Significantly, the standard operating procedure takes the form of a series of questions, 25 in total. The questions are explicitly meant to provide guidance for applicants and regulators about the type of issues that will be assessed. How these questions should be answered thus remains open, since the document specifies neither the information nor the methods required for answering these questions (with the possible exception of cost–benefit analysis).1 The standard operating procedure furthermore does not define clear benchmarks of what socio-economic impacts are considered desirable or unacceptable. The senior NBA official strongly emphasized this point: “Very importantly, if you remember the SOP, … the document is not saying ‘if it is so high, then it’s not acceptable’. There are questions that do not have limits as to how much” (interview 31 March 2016c). After an application is submitted, the NBA staff screens whether the application is complete and sends the annex on SECs out for peer review. The review is done by social scientists specialized in socio-economic issues (hence not by biotechnology scientists). Their identities are kept confidential, as one reviewer said, “because I think other people should not influence my decision and … because if I recommend something negative then they can come for my neck” (interview 16 March 2016). The reviewers assess whether the information provided by the applicant is correct and whether all relevant information is provided. In reviewing the information on SECs, the experts continuously balance the ambitious assessment criteria with practical limitations. On the one hand the requirements are very high. For instance in assessing the correctness of information provided, so one reviewer told me, evidence that has not been published in academic journals “may not be acceptable. … It’s just like I can sit down and write the paper” (interview 16 March 2016). And even if the application draws on evidence that has been published in a peer reviewed journal, the anonymous experts are still required to review the quality of the scientific evidence. Although one reviewer highlights that deciding whether the evidence is sufficiently convincing is to some extent a subjective exercise, the reviewers generally follow basic scientific guidelines: “Was there a good sampling? Were the data collection methods good enough? Was the analysis good? Is the interpretation good? … It has to be good science” (interview 16 March 2016). Furthermore, in assessing the completeness of the information, reviewers are instructed by the NBA staff to “go beyond what the applicant has provided because the applicant sometimes doesn’t have some information, or maybe they are shying away from giving some information that they feel can limit the approval” (interview 31 March 2016a). “They’re supposed to include reports to show that the biotechnology is going to generate more income for the farmers. … That’s the bottom line. … And then the other be on the consumer side they have to show that the consumers are willing to consume the product. … We want consumers and producers to benefit” (interview 16 March 2016). In practice the reviewers strike a balance between the strict criteria of completeness and scientific validity on the one hand and practical limitations in providing that information on the other—a practice that raised no objections by any of the actors interviewed. The expert reviewers subsequently write a report, including a recommendation, and send this to the board of the biosafety authority. Next to the information that applicants have to provide, the second way that SECs enter the Kenyan decision-making process is through a public consultation. The Biosafety Act requires the NBA to inform the public about any application for environmental release in order to provide the public with the opportunity to voice their opinion and to “address appropriately any relevant concerns raised by such a person” (Government of Kenya 2011). Formally the Act requires the NBA to publish a summary of the application in the Kenya Gazette and at least two nationally circulated newspapers, after which concerns can be send to the NBA within 30 days (Government of Kenya 2011; interview 31 March 2016a). There are no restrictions on who can voice concerns, whether they are individual members of the public or representatives of public or private organizations. Nor are there restrictions as to what concerns can be raised during this public consultation, including concerns about risks to human health and socio-economic considerations. “The application is a big dossier, probably hundreds of pages. The National Biosafety Authority did not put this application document on their website. It was only available in their offices. … You can’t take it home, they couldn’t give you a copy, it was not available on their website” (interview 17 March 2016b). The biosafety authority furthermore introduced an obligatory form for written responses only days before the deadline for submitting comments, when most actors had already prepared their responses on their own terms. A civil society representative observed: “I think a lot still needs to be done in defining and actually organizing a meaningful public participation process for biotechnology” (interview 29 March 2016). After receiving the public comments, staff from the biosafety authority analyzes them and makes a shift. Both NBA staff and outsiders mentioned that they proceed by first setting apart concerns and questions that can readily be answered. These public comments are addressed by the NBA itself. In all other cases the NBA asks the applicant to submit a written response to each of these issues. The public comments as well as the applicant’s reply are then sent to the NBA board, informing them that the “public listed the following issues, then we took the issues to the applicant, and this is the response” (interview 31 March 2016a). Finally, the board of the biosafety authority gathers all this information: the annex on SECs that is provided by the applicant, the report and recommendations of the expert reviewer, the comments from the public consultation, and the replies by the applicant. The NBA board is responsible for taking an overall decision about whether the application for environmental release is granted. The board first considers the risks to human health and the environment. Once an application has met the criteria for sanitary and phytosanitary impacts the board subsequently takes into account the different SECs that have been articulated by the applicant, the expert reviewers, and the public. Crucially, thus far it has remained unclear how the board weighs SECs in the decision-making process. Both NBA staff members and current and former members of the board confirmed that such a procedure is currently missing. The preceding procedure for articulating and assessing SECs—the standard operating procedure, the application annex, the expert review and the public consultation—certainly shapes what considerations can and cannot be included by the board. But each of these steps is explicitly framed as providing information to the board of the NBA, thereby situating the final authority to include SECs into decision making with the board of the biosafety authority. Thus far two applications have gone through the entire procedure—one for a Bt maize event and one for a Bt cotton event. While in both cases permission was granted for environmental release, it has remained curiously unclear what role socio-economic considerations played in reaching that decision, if any. In the absence of clarity about how the board reaches its final decision, both applicants aiming to put GM crops on the market and actors concerned about the negative socio-economic impact of those GM crops are left in the dark as to what socio-economic considerations are decisive. The regulation of socio-economic considerations in Kenya was predominantly shaped by the National Biosafety Authority, who made a sustained effort to define what counts as a valid SEC through a bottom-up process, prior to assessing the first application. The biosafety authority formalized the selection of relevant SECs in a standard operating procedure and further shaped the process for assessing SECs so as to include input from socio-economic experts judging the completeness and robustness of the scientific information provided by the applicant, and to include public from other actors through a public consultation to which the applicants are invited to reply. Although the ways in which various actors are invited to participate is not without its problems, overall the process is designed with the intent to offer various moments for stakeholder inclusion. Despite these measures to ensure inclusion, expert review, and formalization, at this point it is not quite clear what evidence is required for the assessment and when SECs make a difference in the decision to approve or reject an application. It is thus far unclear what the thresholds are for SECs to make a difference in decision-making and how positive and negative socio-economic impacts are weighed against each other. This lack of transparency endangers the credibility of the regulatory procedure as there currently is no way of finding out whether SECs have indeed been taken into consideration. In combination with the seeming rationalization of SECs in the standard operation procedure, this lack of transparency runs the risk of obscuring the potentially conflicting social and economic interests that underlie the different considerations. As for the evidence, although the expert reviewers formally require applicants to provide evidence published in peer reviewed scientific journals, it is unrealistic to expect that applicants can meet this criteria for all the questions listed in the standard operating procedure, nor does this criteria of scientific evidence clarify what kinds of evidence are deemed sufficient. The biosafety authority currently seems to take a pragmatic approach by using the criterion for scientific evidence more as an objective rather than a stringent requirement, accepting evidence from peer reviewed publications on related technologies or on related countries, or even non-peer reviewed publications, in case peer reviewed publications on the technology in question in the Kenyan context is not available. It is not inconceivable that by taking such a pragmatic approach, over time a consensus about the standards of evidence will emerge from the interaction between applicants, expert reviewers, public comments and the biosafety authority. Any such tacit agreement over the standards of evidence can only emerge when requests for additional information are balanced with the practical limitations and additional burden for applicants. Socio-economic considerations play a very different role in decision-making in South Africa. South Africa has been a pioneer in genetic modification on the South African continent. The country already had a regulatory body since 1979, the first field trials took place in 1987, and the first GMOs were allowed on the market in 1997, even if GMOs have been accompanied by significant societal controversy up to this day. In 1999 the government enacted a GMO Act that established a new regulatory structure, that abolished the older regulatory body and established two new bodies: an Advisory Council consisting of biotechnology scientists that provides advice about the scientific validity of applications and an Executive Council with representatives from different government ministries. The Executive Council takes the final decision and for applications to be granted, members of the Executive Council have to reach a consensus: if only one of the ministry representatives has doubts, applications will be refused. Both the SAGENE guidelines and the 1999 GMO Act were primarily concerned with risks to human health and the environment and neither mentioned SECs. These first appeared in South African regulation in 2006, when the GMO Act was amended in order to align South African regulations to the Cartagena Protocol. The Act now notes that in reaching its decision, the Executive Council may consider “the potential socio-economic impact of such activities” (Republic of South Africa 2007, p. 11). And indeed SECs began to play an important role in decision-making around the same time. Even though South Africa is known as being rather permissive towards GMOs, they have nevertheless banned several genetically modified crops on socio-economic grounds, as we will see shortly. In the current regulatory procedure, like in Kenya, the applicant has to provide information on SECs when applying for environmental release, and like in Kenya, a public consultation forms part of this procedure. But other than that, the way SECs were included in South African decision-making strongly diverged from Kenya, and in this process, different conclusions were drawn about what counts as a valid concern and how this can best be measured. The information provided by the applicant is not send out for peer review, it is not assessed by socio-economic experts, there have been no stakeholder workshops to identify the most relevant considerations, and there is no Standard Operating Procedure to stipulate what information is required for what SECs, even though the 2006 amendment to the GMO Act noted that the Minister “may make regulations … prescribing the procedure to be followed by an applicant for the purpose of drawing up … socio-economic considerations” (Republic of South Africa 2007, p. 20). Instead the process for assessing SECs was established in an ad hoc fashion as the Executive Council looked at the considerations arising from new applications on a case-to-case basis. Hence the description of the South African regulation of SECs will take a different structure. There have been two instances in which SECs played a decisive role in deciding the faith of an application: the application for a GM yeast in 2007 and the application for a GM potato in 2009. It is through the assessment of these cases, that various standards were established for what concerns were and were not considered valid, and what evidence was deemed required to take an objective decision. The first time socio-economic considerations played a decisive role was in 2006, when the government received an application for a genetically modified strain of malolactic yeast that could be used in the production of wine, one of South Africa’s best-known export products. Besides their function in fermentation, yeasts can also have effects on the taste of the wine and malolactic yeasts in particular are used by wine producers in the production of less acidic tasting wines like Chardonnay. Grapes naturally contain the acidic-tasting malic acid and the malolactic yeast converts malic acid into the softer-tasting lactic acid. In 2006, a group of Canadian researchers had genetically modified a yeast strain so as to perform both alcoholic and malolactic fermentation at the same time (Husnik et al. 2006), raising the interest of researchers at Stellenbosch University Institute for Wine Biotechnology. In 2006 they applied for field trials, claiming ‘proof of concept’ as the main purpose, and the Executive Council denied the application in September 2007 (EC minutes of 18 September 2007). The possibility for contamination and gene flow to non-GM yeast varieties played an important role the rejection. Although the applicants argued that the trial site would be effectively contained by covering the grapevines with nets to prevent seed dispersal, both civil society organizations and winemakers questioned the effectiveness of these measures (Jordan 2006). This gene flow was not considered important for maintaining biodiversity in yeast varieties: it was trade that was the central concern. The largest export markets for South African wineries were in Europe and it was perceived that the widespread resistance against genetically modified crops in Europe could negatively affect South African exports. Although the South African wine industry had long been supporting research into genetic modification, they were eventually not willing to take the risk. The head winemaker at Spier Estate, a large wine estate close to the envisioned test site, clearly formulated this when he said that “for us on the production side, GMOs are a no-go” (Jordan 2006). “that they are against a general release due to the massive consumer resistance against GMOs, especially from the wine drinking consumers. The Council noted that the major export market for the wine industry is the United Kingdom who is against GMOs and the local wine industry indicated that the risk is just too high” (EC minutes of 18 September 2007). The representative of the DEAT, the only one who had voted in favour of approval in the May meeting, concluded that apparently “the international industry is not yet ready for a general release of malolactic wine yeast” (EC minutes of 18 September 2007). The letters and opinions of the wine industry and non-governmental organizations were deemed sufficient evidence for the proclaimed reluctance of European markets to buy the wines using the GM malolactic yeast and the Executive Council subsequently rejected the application on trade grounds, noting that “we are major exporters of wine, we cannot jeopardize those markets” (interview 14 April 2016). The second case where SECs played a decisive role concerned an application for the general release of a genetically modified potato. This was by far the most high-profile case in the country, with active civil society protest and wide media coverage. The potato variety in question was modified in order to gain resistance to tuber moth, a moth whose larvae damage potato tubers in storage. By inserting a gene of the Bacillus thuringiensis (Bt), the protein would disrupt the digestion of the moths that eat the potato, thereby allowing farmers to grow potatoes using less pesticides. The project was funded by the United States Agency for International Development (USAID) and ran by the Agricultural Research Council (ARC), as part of a larger consortium that included the International Potato Centre, Syngenta, and Michigan State University, who had developed the original genetic modification (Douches et al. 2002). The ARC had been conducting field trials with the Bt potato since 2001 and, in contrast to the yeast case, SECs only played out when the ARC applied for environmental release. Outside of the regulatory process, however, these concerns were raised much earlier. Already in 2004 civil society organizations like ACB and Biowatch formally filed an objection to the Executive Council protesting against the request for continued field trials (Ashton et al. 2004). They mainly protested the design of the environmental risk assessment but also highlighted a wide range of SECs. They for instance argued that smallholder farmers could not benefit from a patented potato, which they would not be allowed to replant, and “which consumers in all likelihood will not buy” (Ashton et al. 2004, p. 6). The ACB furthermore questioned whether genetic modification was an effective solution to the tuber moth problem in the first place, pointing out that “tuber moths mainly affect tubers during storage” (Ashton et al. 2004, p. 4) and that it may be more effective to focus on “improving storage conditions to prevent infection of tubers after harvesting” (Ashton et al. 2004, p. 4). The ARC was nevertheless allowed to pursue field trials with Bt potato and between 2000 and 2007 the Executive Council granted another nine applications for field trials, contained use, and trial release. Yet as the ARC consortium moved closer towards environmental release, concerns about the socio-economic implications of the GM potato grew. When the Agricultural Research Council finally filed a request for the general release of the GM potato in July 2008, the Executive Council rejected the application by unanimous decision (EC minutes of 21 July 2009; interview 11 April 2016). The applicants subsequently filed an appeal in September 2009 and it took until March 2015 for the Minister of Agriculture of take a final decision on the application, eventually deciding to uphold the decision of the Executive Council not to allow the GM potato on the market (EC minutes of 24 March 2015). Whereas the Executive Council is usually rather scant in its comments, in this case it cited a wide range of reasons in its July 2009 decision. These reasons for rejecting the GM potato can be grouped into two main categories: the benefits of the GM potato were insufficiently proven and the potato could potentially have a negative effect on South African potato exports. The concern about trade, to start with the latter, had been raised in the previous years by several different actors. In 2008, the African Centre for Biodiversity had published a book in which they pointed out that the great majority of South Africa’s potato exports are destined for various Southern African countries that had previously restricted the import of genetically modified products (Black 2008). And at least as important, in the same year various large retailers and processors in South Africa had publically stated their opposition to the GM potato. Woolworths and Pick & Pay, two of the largest supermarkets in South Africa, made clear they would not sell these potatoes and McDonalds wrote a letter to the Executive Council stating that they did not want to use genetically modified potatoes for their French fries (Hall 2008). Also McCain, a processing company from whom McDonalds purchased their potatoes, explicitly said that all their products are GM free. Their managing director was quoted saying: “we’re very much driven by consumer needs and they don’t want GM” (Gosling 2008). When the Executive Council finally consulted with Potato South Africa, the body representing the South African potato industry, who had initially had supported the Bt potato project (interview 15 April 2016), they too said they would oppose GM potatoes. And so the government rejected the crop because the “the markets were not ready” (interview 14 April 2016). The Executive Council cited this concern in their rejection when noting that “entry of these GM potatoes into the formal trade remains a particular concern” (EC minutes of 21 July 2009). The ARC consortium had repeatedly emphasized that the potato was also meant to bring benefits to South African farmers, and to subsistence farmers in particular, who do not produce potatoes for export. To substantiate these claims, their application included two socio-economic studies that sought to identify the agricultural needs and constraints by performing surveys amongst commercial and smallholder farmers (Jordaan and Carstens 2007; Hart and Vorster 2006). But while the studies set out to identify “the socio-economic benefits of the Bt potato” (Black 2008, p. 57 [italics added]), the results were rather mixed, to say the least. The studies showed that commercial farmers were willing to grow GM potatoes if this improved their output and profitability yet that tuber moth was not a dire problem to them and that they were sceptical it about pesticide savings, domestic marketability, and exportability (Jordaan and Carstens 2007). The survey amongst smallholder farmers, furthermore, concluded that “farmers indicated a range of problems, many of which might be simply and cost effectively reduced by means of adopting existing technology to local conditions and practices” (Hart and Vorster 2006, p. 3). Tuber moth was mentioned by smallholder farmers as a problem but other challenges were mentioned much more frequently, like access to water and transport and damage done by other pests like millipedes, moles and cutworm. The applicants concluded from this that a need for the GM potato had been proven. In addition, and perhaps in contradiction, they argued that proper “information on many of the socio-economic issues can only be collected if the application is approved” (Thomson et al. 2010), suggesting that these trials could be conducted with active participation by South African farmers. This claim effectively challenged the decision to ex ante assess the socio-economic impact of genetically modified organisms, claiming that this can only be done ex post (despite having performed ex-ante socio-economic evaluations themselves). One civil society organization fiercely dismissed this proposal, noting that “it is shameful that the most vulnerable people in our society are being asked to take on the burden of experimenting with new and very expensive technology” (Stafford et al. 2008, p. 26). This more fundamental challenge of whether ex ante or ex post assessments were necessary in the regulatory process was never responded to, however. The Executive Council went ahead and included SECs into their decision. Drawing upon the very farmers surveys provided by the ARC, the Executive Council outright dismissed the applicants’ claims and decided that the benefits of the GM potato were insufficiently proven. The Executive Council concluded that commercial farmers did not expect the GM potato to be very beneficial “as the same spraying regime is required to manage other pests which this event does not target” (EC minutes of 21 July 2009). And smallholder farmers were cited to identify “more pressing challenges related to production such as lack of water, seed availability, fertilizers, etc.” (EC minutes of 21 July 2009). This was aggravated by the observation that tuber moth, the pest that was targeted through the genetic modification, “is not a major pest for stored potatoes but rather rodents” (EC minutes of 21 July 2009). In the interviews with key South African stakeholders, several other reasons for rejecting the potato were suggested. For instance one scientist highlighted that the genetic modification was made in Spunta, a potato variety that was not widely grown by South African farmers (interview 15 April 2016). Potato South Africa had earlier noted that this variety “is not suitable for processing, so the big food chains would not use it anyway” (Gosling 2008). And several interviewees further raised the suspicion that it may have played a role that no genetically modified potatoes had been allowed at that time anywhere in the world (interview 7 April 2016; Pretoria, 11 April 2016; Pretoria, 15 April 2016). As one interviewee said: “We don’t want to be the first. Who dares to be the first?” (interview 15 April 2016). However, these concerns and the evidence provided for them did not appear in any official documentation and did not seem to play a role in the discussions leading up to the decision, while the Executive Council did provide a list of other objections in their rejection. The main concerns were the potentially negative impact on trade and domestic marketability, for which industry consultations provided sufficient evidence, and the lack of benefits for smallholder farmers, for which farmer’s surveys provided the most important evidence. Perhaps it is telling that although it only takes the objection of one member of the Executive Council for an application to be rejected, in the case of the GM potato the Executive Council rejected the application by an unanimous vote. The regulation of socio-economic considerations in South Africa took shape in an ad hoc fashion, on a case-to-case basis. At first sight this process was less inclusive than in Kenya and also scientific evidence played a much smaller role in South Africa. While the different considerations that were taken into account were certainly fed by concerns that were articulated by a variety of actors in South Africa, ranging from corporations like McKain to civil society organizations like the ACB, the decision about what considerations were and were not taken into account was exclusively taken by the Executive Council. These civil servants were accountable to their respective ministers and they did not provide clarity to applicants about what information had to be provided with respect to SECs. And in contrast to Kenya, the most decisive evidence consisted of non-academic papers (like the farmers’ surveys) and letters from industry, all of which varied from case to case, and none of which was subjected to external peer review to establish the credibility of the claims. The decisions about SECs furthermore lacked transparency. Like the board of the biosafety authority in Kenya, the Executive Council in South Africa provides little insight into how they arrived at their decision. They publish minutes of their meeting but these generally provide only little information. The paradoxical outcome of this ad hoc process, however, is that over the years very clear standards have been established for what SECs are deemed valid. Genetically modified organisms will not be allowed on the South African market if they adversely impact indigenous biodiversity, potentially endanger exports, are unlikely to realize proclaimed benefits for smallholder farmers, and if they are not supported by those that eventually have to sell them to consumers. And also the evidence required for these claims is relatively clear, with stakeholder views being considered as sufficient evidence for assessing ‘if the markets are ready or not’. As one interviewee told me: “When someone says they don’t need something, they don’t necessarily need scientific evidence or anything” (interview 4 April 2016). Not all actors fully agreed on either the SECs included (the ACB and Biowatch argued also the relative efficacy vis-à-vis non-GMO solutions to improving potato yields should be considered)) nor on the type of evidence required (the ARC challenged the need for providing ex ante assessments). Yet after the yeast and potato decisions, it was relatively clear for all actors what role SECs play in decision-making. This article started by observing that actors around the world are struggling to ‘open up’ regulatory science to different types of issues and knowledges (Stirling 2008). The inclusion of socio-economic considerations into biotechnology decision-making is a case in point. Omitting SECs is deemed undesirable because limiting decision-making to issues of risks to human health and the environment does not answer to widely held societal concerns about the impact of biotechnology on other aspects of life. Yet including SECs in the absence of formalized methods for identifying and assessing what counts as a valid SEC runs the risk of creating a decision-making process that is both subjective and unpredictable. This article aims to contribute to solving this dilemma by investigating the way Kenya and South Africa, in practice, have tried to move beyond the regulation of health and environmental risks by including SECs in biotechnology decision-making. This article has investigated both what SECs are (and are not) included, what evidence is required for these considerations to be deemed sufficiently credible, and how these considerations are eventually included in decision-making. By thus looking at the work that is put into crafting a regime of regulation in a context where standards for taking such decisions are lacking, I have identified two practice-based models for including SECs in biotechnology decision-making. These can be seen as two sets of practices by which subjective and politically contentious issues evolve over time towards more objective and predictable objects of regulation. The models, which can be labelled are summarized in Table 3. The regulatory regime for SECs are emerging in rather different ways in Kenya and South Africa. The Kenyan model is characterized by a sustained effort to define what counts as a valid socio-economic consideration through a bottom-up process prior to assessing the first application, with input from socio-economic experts judging the completeness and robustness of the information provided, and with a public consultation to which applicants are invited to reply. This can be understood as a definitive approach to regulate new object of concerns—as an attempt to include these considerations in specified and stable way, sealing the procedure before the first assessment. The South African model is characterized by a case-to-case assessment by the Executive Council, that takes into account views from other actors in an ad hoc manner, and that does not require scientific evidence of socio-economic impacts but instead largely draws upon farmer surveys and letters by representative organizations and key stakeholders, thereby establishing regulatory standards in the process. This can be understood as a tentative approach to regulate new objects of concerns—as an ongoing process that is prudent and preliminary (Kuhlmann et al. 2019). Perhaps more than anything else, the Kenyan and South African practices demonstrate the challenges pioneers face when translating concerns from subjective and politically contentious issues into more objective and predictable objects of regulation. This particularly becomes clear when observing the similarities between Kenya and South Africa compared to other countries, particularly Argentina (Falck-Zepeda and Zambrano 2011; Binimelis and Myhr 2016). Argentina, which has signed but not ratified the Cartagena Protocol, has limited the assessment of SECs to the potential impacts on trade, specifically the competitiveness of Argentinean exports (Falck-Zepeda and Zambrano 2011), and its regulations stipulate that the assessment of these considerations should be conducted by one specific government agency on the basis of cost–benefit principles (Binimelis and Myhr 2016). While the exclusive focus on trade and on a well-established assessment method like cost–benefit analysis makes it easier for regulatory procedures to become objective and predictable, this in turn makes it more difficult to be responsive to the wide range of different considerations that gave to the societal controversy around GMOs in the first place. The regulatory practice in both Kenya and South Africa instead have dedicated places for societal actors to raise concerns and contribute evidence, and both countries subsequently consider a much broader spectrum of socio-economic impacts, thereby being more responsive to considerations raised by various societal actors. The two practice-based models reflect different strategies for dealing with this. The analysis shows that the two models produce distinct tensions. While the Kenyan ‘definitive model’ contains different moments for stakeholder inclusion, the lack of transparency over how SECs are weighed into the decision-making results in a lack of clarity as to what voices matter. And while there are high standards to ensure the credibility of the information provided, which in the long term may be a commendable aim for creating objective regulations, in practice the emphasis on peer reviewed scientific publications cannot be realistically adhered to and does not specify the kinds of studies that are deemed best suited for the concerns in question. And finally, while formalizing the procedure prior to the first assessment may increase the predictability of the regulatory procedure, this also runs the risk of obscuring the way conflicts over conflicting concerns are contested. In the South African ‘tentative model’, on the other hand, clear standards and thresholds have emerged regarding negative socio-economic impacts but there is uncertainty about both what new issues may emerge in the future and about what thresholds are operated in cases where distinct negative and positive socio-economic impacts have to be weighed. And while the pragmatic reliance on statements by key stakeholders provides valuable information for the cases assessed, it is unlikely that this type of evidence is sufficient in cases where the socio-economic impact of new crops is unclear or contested. These tensions can serve as lessons for other countries aiming to include socio-economic considerations into biotechnology decision-making, highlighting that regulations for SECs can be made objective and predictable in diverging ways, each with distinct benefits and drawbacks. In many ways, creating regulations for socio-economic considerations is a learning process and these regulatory practices will therefore undoubtedly continue to evolve over time. This mirrors the trajectory taken by the regulation of risks to human health and the environment. These regulations too once emerged from a shared concern—in this case for human health and the environment—in a context where consensus over the scope of these concerns and the methods for assessing them was lacking. The practices of regulating these risks has only emerged over the course of the last decades, as consensus slowly emerged over the scope of these considerations and the types of knowledge that are deemed credible in assessing them (Luhmann 1993; Boholm 2015). The regulation of SECs is arguably only at an early stage in this trajectory and subsequently is largely open to change. Identifying these two models for including socio-economic considerations into biotechnology decision-making is therefore both relevant and timely. Many countries currently intend to take into account SECs but struggle to implement it as detailed information about practical experiences with SECs in biotechnology regulation are absent. It should be clear that the two models for solving this problem presented in this article are shaped by the local contexts of Kenya and South Africa and therefore cannot unproblematically be copy-pasted to other countries. However, the in-depth description of the two models, as well as the identification of distinct tensions in each model, provides insight into two potential pathways for including SECs into biotechnology decision-making. This may help policy makers in devising robust regulations for SECs. For instance a question like “are seeds and other farm inputs affordable to ordinary farmers” may include information about the seed price, over which the applicant may have a certain amount of control, but could also include information about other factors affecting the economic situation of farmers, since this may determines what is affordable for farmers. Similarly, a question like “will other technologies be available to guarantee freedom of choice” may include information about other commodities currently offered by the applicant but could also include an assessment of government policies and the strategies of competitors that structure this availability. I would like to thank Dorington Ogoyi and Hennie Groenewald for their invaluable support during the fieldwork. Also I would like to thank Sjaak Swart for his valuable comments and support, as well as the participants of the various ERAfrica workshops and the 4S conference in Boston, and the S.NET conference in Bergen. The paper has been developed under the project titled ‘Addressing societal challenges of biotechnology in Africa. Towards balanced innovation’, funded by ERAfrica. Funding was provided by Nederlandse Organisatie voor Wetenschappelijk Onderzoek. African Centre for Biosafety (ACB). 2006. South Africa’s wine industry threatened by GM grapevine trials. http://acbio.org.za/south-africas-wine-industry-threatened-by-gm-grapevine-trials/. Accessed 19 Mar 2019. Ashton, G., G. Baker, M. Mayet, E. Pschorn-Strauss, and W. Stafford. 2004. Objections to application for a permit for additional trials with insect resistant Bt Cry V Genetically Modified Potatoes (Solanum Tuberosum L. Variety ‘Spunta’G2 and G3). http://acbio.org.za/wp-content/upload/2015/02/objection_bt_potato_g2_g3. pdf. Accessed 19 Mar 2019. Commissie Genetische Modificatie (COGEM). 2014. Report—International workshop on a socio-economic assessment framework for GMOs. https://www.cogem.net/showdownload.cfm?objectId=0D11C206-1517-64D9-CC263B30A61B4F01&objectType=mark.hive.contentobjects.download.pdf. Accessed 19 Mar 2019. Gosling, M. 2008. Farmers oppose GM potatoes. IOL News. http://www.iol.co.za/news/south-africa/farmers-oppose-gm-potatoes-416704. Accessed 19 Mar 2019. Government of Kenya. 2011. Biosafety Act. http://faolex.fao.org/docs/pdf/ken89675.pdf. Hall, D.R. 2008. GMO potatoes. http://acbio.org.za/wp-content/uploads/2015/02/mcdonalds.pdf. Accessed 19 Mar 2019. Jordan, B. 2006. Genetically engineered grapes have South Africa’s wine producers alarmed. Sunday Times. https://www.organicconsumers.org/news/genetically-engineered-grapes-have-south-africas-wine-producers-alarmed. Accessed 19 Mar 2019. Republic of South Africa. 2007. Government Gazette 501 (29803). http://www.gov.za/sites/www.gov.za/files/a23-06_0.pdf. Accessed 19 Mar 2019.